country domains uk, fr, ca, jp. servers (e.g., Web and mail). Acts as a proxy, forwards query into hierarchy.  name is domain (e.g.  How do people get the IP address of your Web site? datagrams from sender to rcvr?  VC number must be changed on each link. Routers maintain connection state information! Datagram or VC network: why?  queueing delay and loss due to input buffer overflow! connect to the global Internet! followed by a 24-bit host-number. 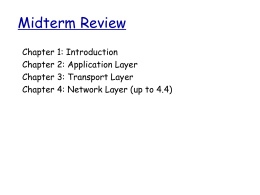 networks are now referred to as "/8s"
since they have an 8-bit network-prefix. 127.0.0.0/8) has been reserved for the "loopback"
("this network") and all-1s ("broadcast") hostnumbers may not be assigned to individual hosts. followed by a 16-bit host-number.  Class B networks are now referred to as"/16s"
network number, followed by an 8-bit host-number. independently as decimal number with the fields separated by dots. eventual depletion of the IP address space. which supports 65,534 hosts, is too large. premature depletion of the /16 network address space. B, or C network number into smaller pieces. Internet routing tables were beginning to grow. into a single routing table entry. are combined into a single routing table entry. 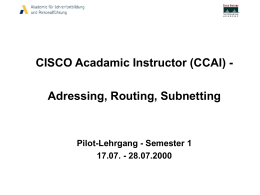 subnets without obtaining a new network number from the Internet. organization's largest subnet in the future? round up to 2^4 (or 16). Also leave room for growth. block of 2^5 (32) individual IP addresses. 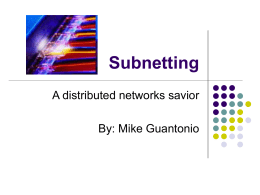 64 subnets each of which supports a maximum of 1,022 hosts. 130.5.0.0/16 network with a /26 extendednetwork-prefix. maximum of 62 hosts (2^6 -2). The 11.0.0.0/8 network is first configured with a /16 extended-network-prefix. administrator needs to take it. 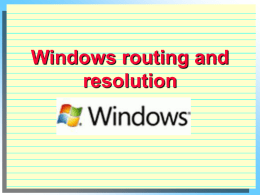 The routing protocols must carry extended-networkprefix information with each route advertisement. 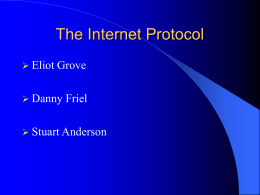 Interior Gateway Protocol (IGP) rather than RIP-1! of the Internet until IPv6 is deployed. would probably not be functioning today! generalized concept of a "network-prefix." numbers associated with classful addressing. amount of address space (2^12 or 4,096 host addresses). 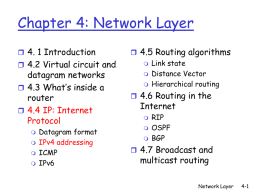 Class A, Class B, or Class C network number. addresses which can be interpreted as 64 /24s. (2^10 ) IP addresses (4 contiguous /24s). IP addresses (or 256 /24s). 4,096 (2^12 ) IP addresses (or 16 /24s). the pie any way it wants. space) and assign it to Organization C and Organization D.
address space within its "Intranetwork" as it sees fit. recursively divided into subsequently smaller pieces. that they are topologically significant. route to many individual network addresses. Routing In a Classless Envir. 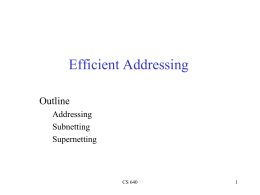 be hidden behind the aggregate routing advertisement of ISP #2.
very difficult, if not impossible, for Organization A.
connections to the global Internet. be used by many different organizations. 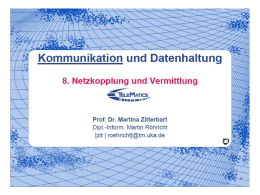 an organization to use a Network Address Translator (NAT).